Dance How You Like is a charity campaign in response to the rise in hate crimes and the increasing openness over holding extremist, racist political beliefs. 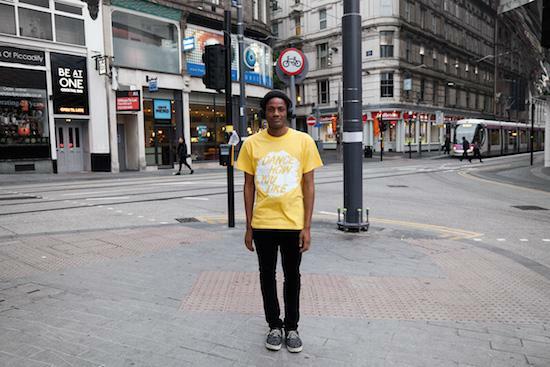 Created by Sam Underwood, musician and instrument maker, the charity sells T-Shirts with the slogan ‘Dance How You Like’ in order to raise funds for The Challenge, which stands as the main charity for cultural integration in the UK. The Challenge works to connect communities across age, ethnicity and income. It is currently working with London mayor Sadiq Khan to support Londoners in helping them to build better connections with their neighbourhood. They also campaign to support the National Citizen Service Bill, which, if passed, will give 15-17 year olds from deprived backgrounds the opportunity to learn new skills and participate in leadership training. Dance How You Like T-shirts are £18 and 60% of the profit goes to The Challenge, with other sales covering the cost of the campaign. They are available to buy here.